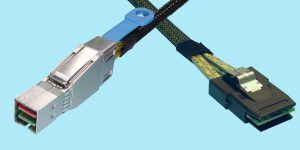 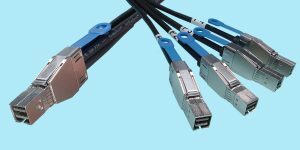 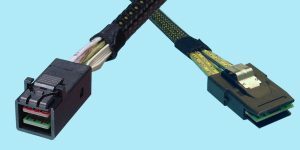 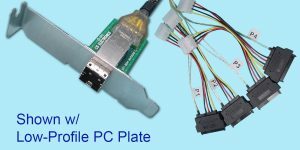 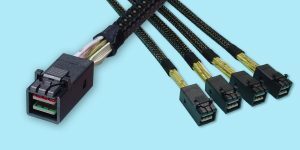 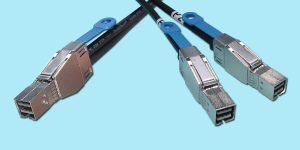 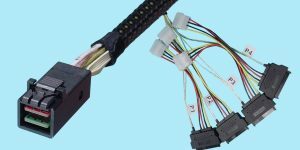 12G HD Mini-SAS CablesCS Electronics offers a wide variety of 12G-rated High Density Mini-SAS Cables in varying cable lengths. 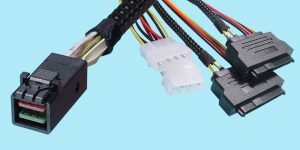 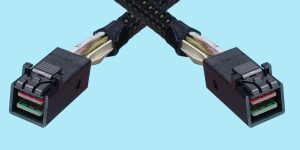 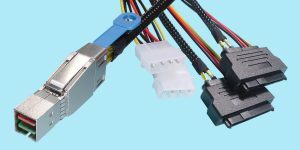 The primary connectors for interfacing HD MiniSAS cables are the SFF-8644 (External), SFF-8643 (Internal) connectors. 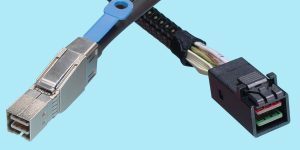 Both the SFF-8644 and the SFF-8643 are 36-pin connectors and can support up to 4-ports (4 lanes) of SAS data. 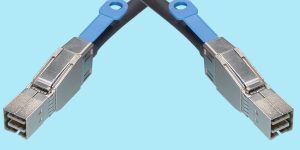 These connector interfaces meet the SAS 3.0 standard, and meets SAS Next Generation speed and density requirements. 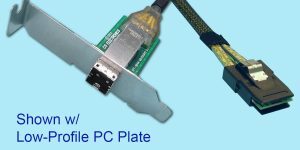 The High-Density interface uses less PCB real estate while doubling Data-Rates from 6Gb/s to 12Gb/s and Bandwidth compared to the previous version of Mini-SAS. 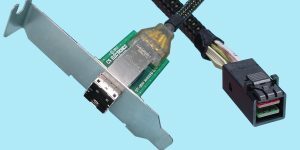 Typical applications would be a SAS link between a SAS HBA to a SAS drive subsystem or storage array. 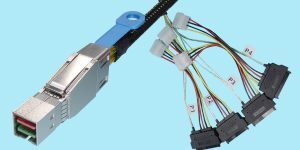 CS Electronics has also incorporated these 12G HD Mini-SAS connectors on I/O & Drive adapters.